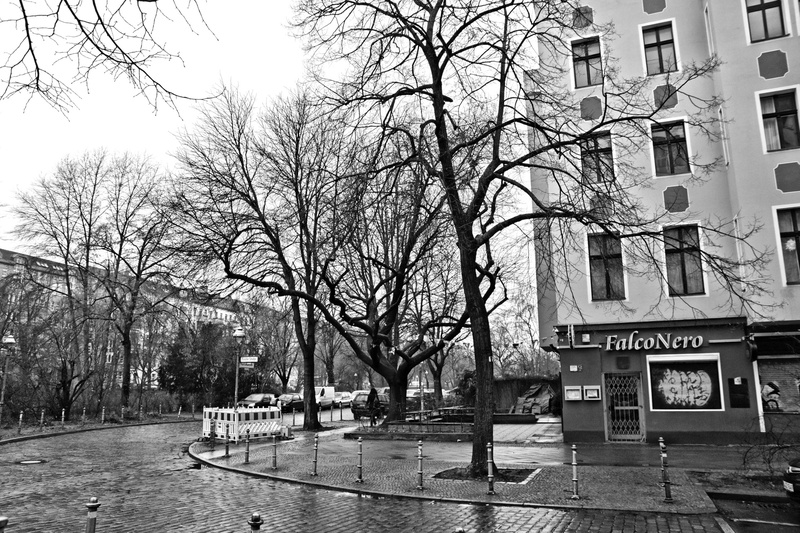 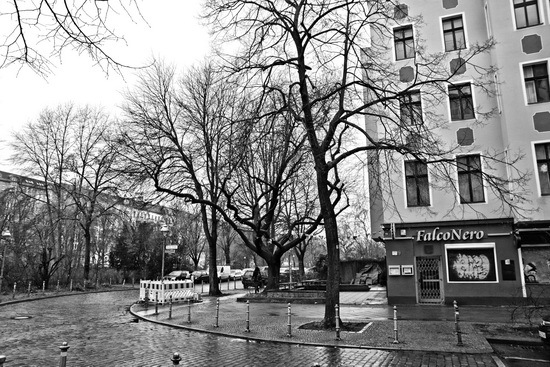 The corner of Paul-Lincke-Ufer and Forster Straße in Berlin Kreuzberg, near where the Berlin part of my family lives and where I’m staying over the winter holidays. 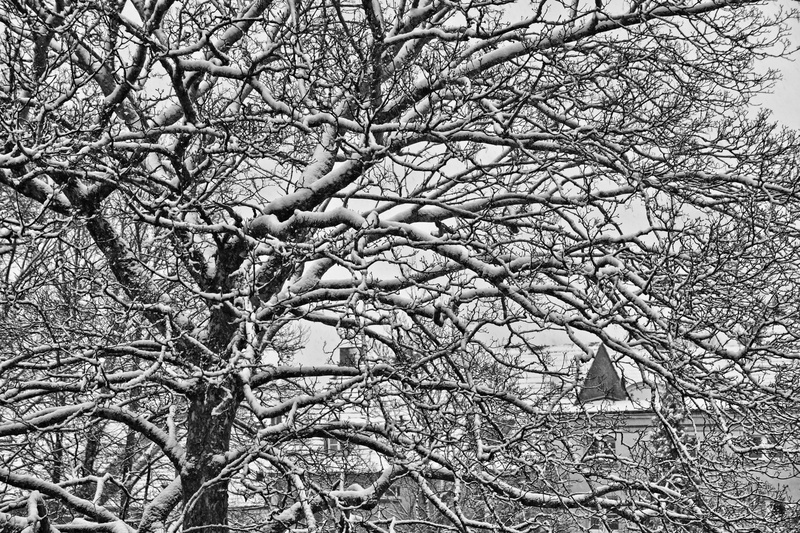 This first bunch of photos is all from a short walk I took on December 19, where it was a bit soggy and dark. 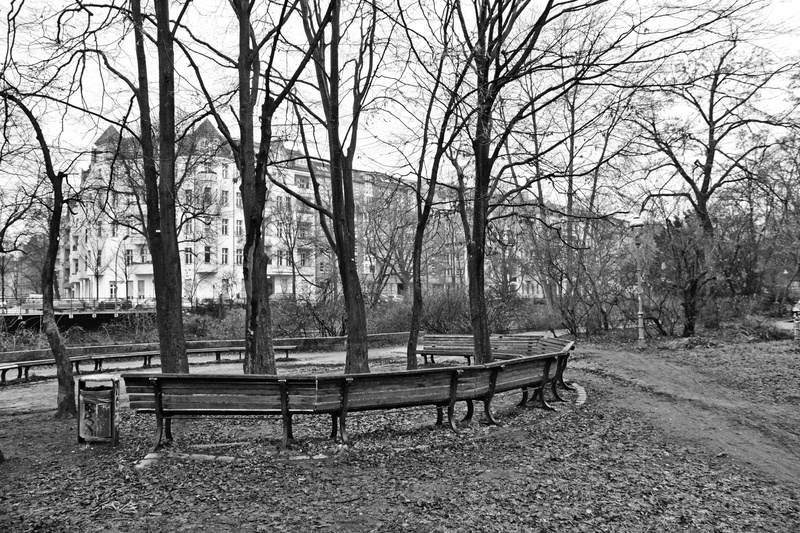 The Rotunde of benches at the Landwehr canal bank in Kreuzberg.